We love our pets, which is why everything we do always comes back to the idea that we think of them as family. Our goal is to create the healthiest foods possible–because a healthier dog or cat is a happier one, and a happier pet means a happier pet parent. That care and dedication goes into every bag we make. 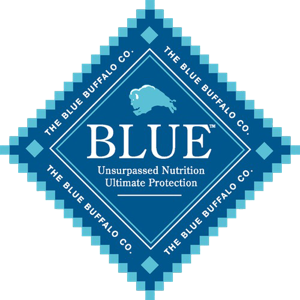 BLUE foods consist of the finest natural ingredients combined in perfect balance for holistic nutrition. These delicious, high-quality ingredients are the foundation of all of our products along with essential vitamins, minerals, and antioxidants – each specifically formulated for dogs, cats, lifestages, weight conditions, taste preference, and personal feeding choice.